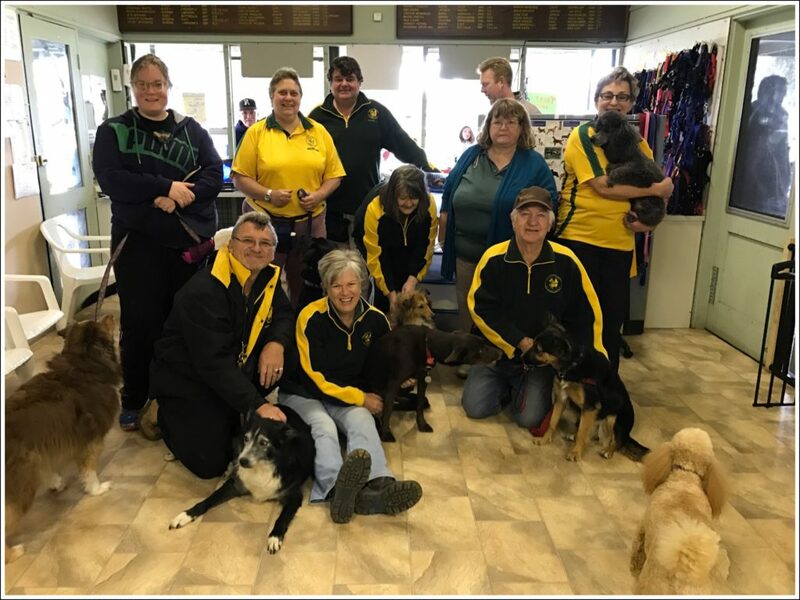 All of the instructors have had experience with training our own dogs, and we have all successfully completed all of the classes ourselves, some with more than one dog. We have all had our joys, disappointments, and difficulties, and have learned from these, as well as from helping others. We volunteer our time from a belief that helping to build good relationships between people, and their dogs, develops well behaved, and happy pet dogs. There is a large pool of knowledge available from our group, and if one of us can’t help you, someone else may have the answer. We have all spent time learning under the guidance of the more experienced instructors, and attending classes. There is a strong commitment amongst all of us to furthering our knowledge, and skills. We look forward to getting to know you, and your dog, and sharing in the joy of your successes.